Reconciliation requires transforming the relationship between the federal government and Indigenous Peoples. Canada Beyond 150 participants saw that this starts with respecting Indigenous rights, including the right to self-determination, and opening government to Indigenous teachings and leadership on all issues that affect Indigenous Peoples. 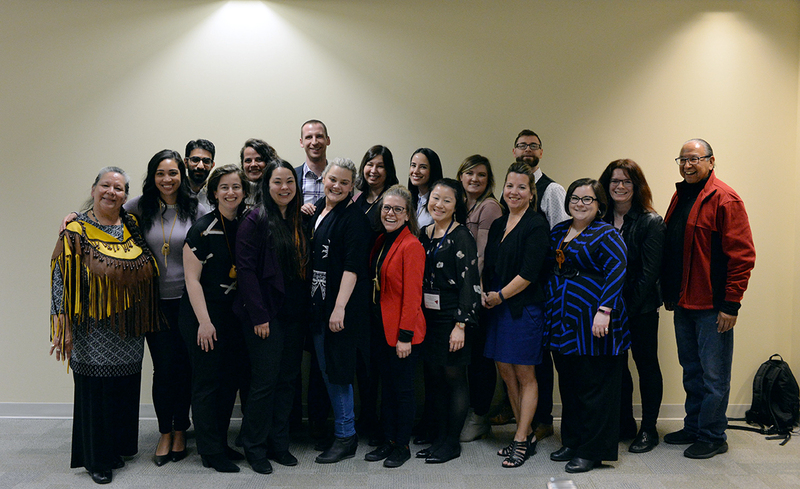 The Canada Beyond 150 program experienced firsthand how Indigenous Elders can be powerful partners in moving government towards reconciliation. 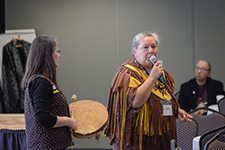 Elder Barb Brant of the Turtle Clan, Mohawk Nation, and Elder-in-training Jenny Gomez worked with Canada Beyond 150 participants to study policy issues in a new light. They predominantly worked with the Reconciliation team, as well as staff working on the program. By participating in ceremony and working on policy with an Elder, we saw issues from new perspectives. No report, textbook or memo could ever replace the oral teachings they shared. task was to create safe spaces in which people could work—to remove the barriers that people carry within themselves to allow their creativity to flow freely. Elder Barb found ways to build ceremony, reflection, and more grounded personal connections into the Canada Beyond 150 program. “The heart must be open, and once it is, information can flow without blockages,” she explains. Elder Barb’s work with Canada Beyond 150 is not unique. She is part of a group of Elders who work with various departments and agencies in the Government of Canada to provide valuable perspectives on programming and policy issues, as well as rights of Indigenous people. Elder Barb shares her knowledge and the teachings of those who came before her in an effort to bring traditional Indigenous insight to bear on current conversations. Just as importantly, she and her peers help bridge the gaps between past, present, and future generations of leaders. No memory stick or textbook could replace your oral teachings. You caught us when we stumbled. You gave us support when it was needed. You helped guide each of us to where we needed to go. You were our guide. You stepped in to help renew our energy or clear any bad energy that was building. You helped open our minds to new ideas and perspectives. You were our teacher. Departments and agencies of the Government of Canada are increasingly inviting Indigenous Elders to work with them. Elder Barb recalls that the government routinely consulted with Elder groups through the middle to late 1980s, but that engagement over the following thirty years was slight. Re-engaging with Elders, she says, is a change that is long overdue.